KEITH & LYNN Recently relocated from 23 Goscar Court. 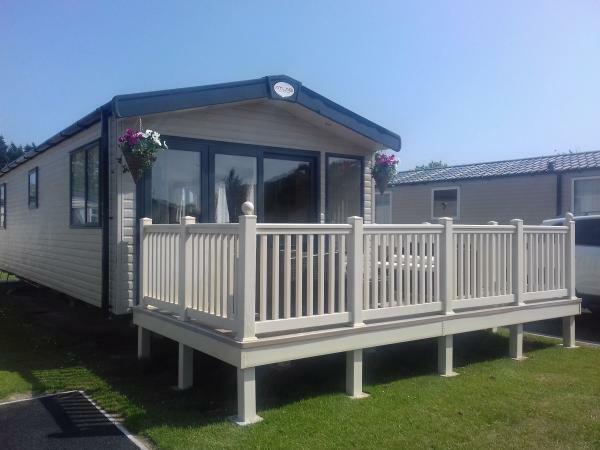 We now own a Brand new 2018 Atlas Image 5 Pitch No 41 Goscar Court fitted with New PVC Decking fitted to the van for that extra summer comfort. Furnished with patio table and chairs + wooden picnic bench. 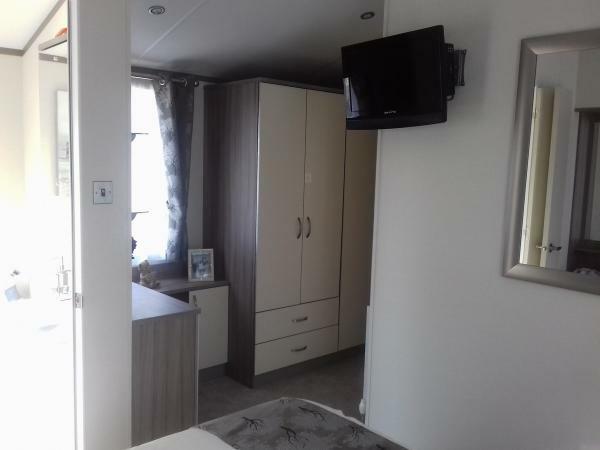 The caravan is double glazed and is centrally heated for those chillier evenings especially, the start and end of season breaks. 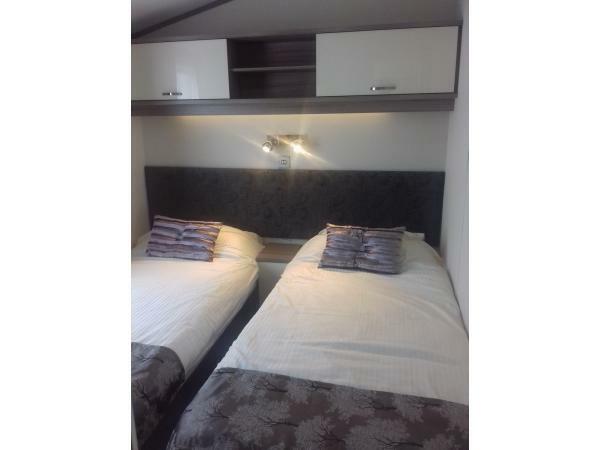 The caravan is sited with its own private parking bay, and there is no need to worry about the safety of the car. 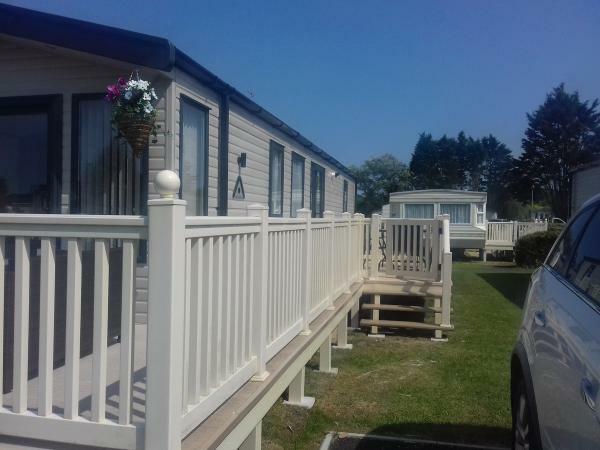 The caravan is minutes from the shops + amenities, and the main leisure complex not far from the lane that takes you into Tenby town, which is 10 min walk away. The lounge is spacious and very comfortable and modern with free standing furniture. 40inch plasma TV. 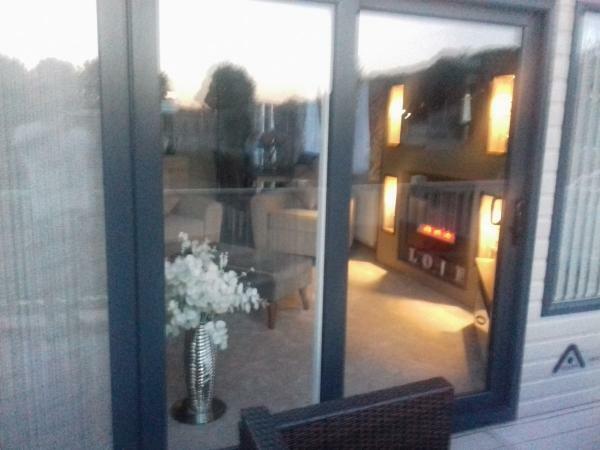 Patio sliding doors leading leads to the veranda at the front of the van, adding to the comfort during the summer months, when you can open the doors on warmer evenings. The luxurious kitchen has all the necessary equipment complete with full sized cooker and large fridge freezer, fitted microwave and toaster. 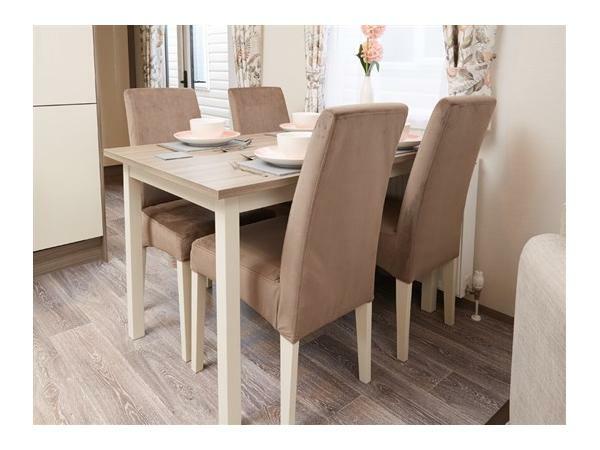 Dinning area table and 4 chairs perfect for those family meals at the table. 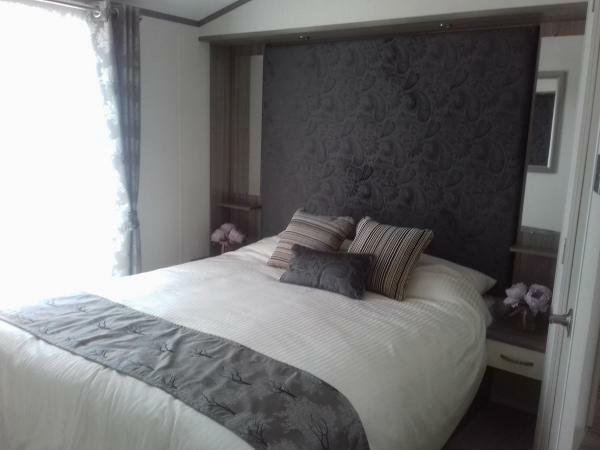 There are two bedrooms 1 large double with King size bed and fitted wardrobes and on suite Bathroom. 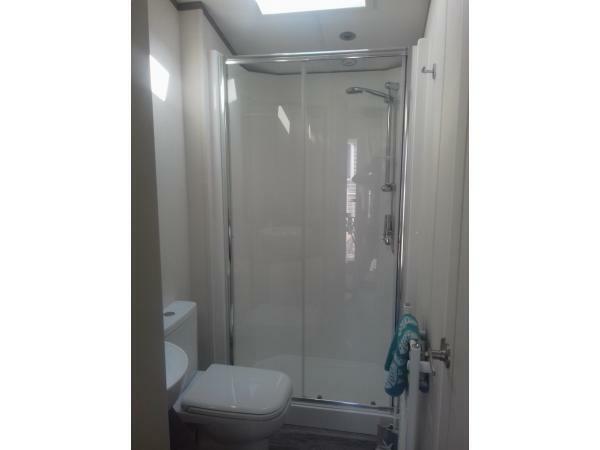 on suite Bathroom in the main bedroom very handy when the shower is being used. 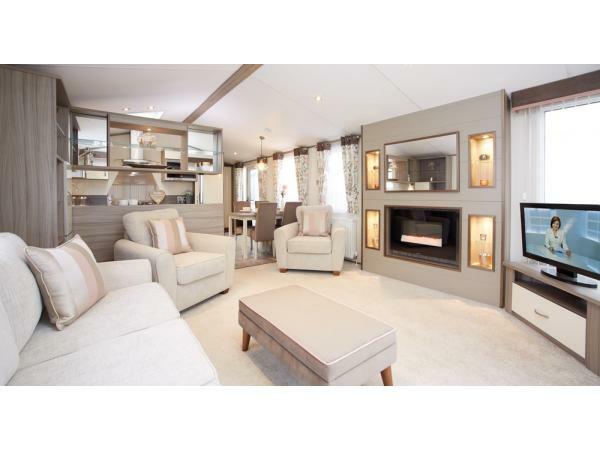 For your safety the caravan is fitted with a fire extinguisher, smoke alarm and carbon monoxide detector. 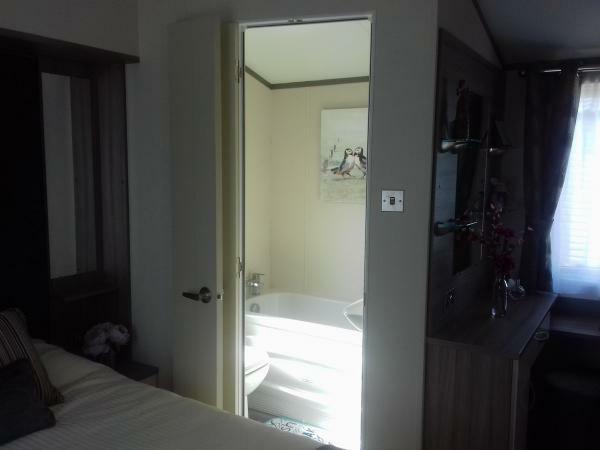 This privately owned caravan comes with free mains gas and electric. Pillows and duvets are included all you need to do is bring bed linen and towels. 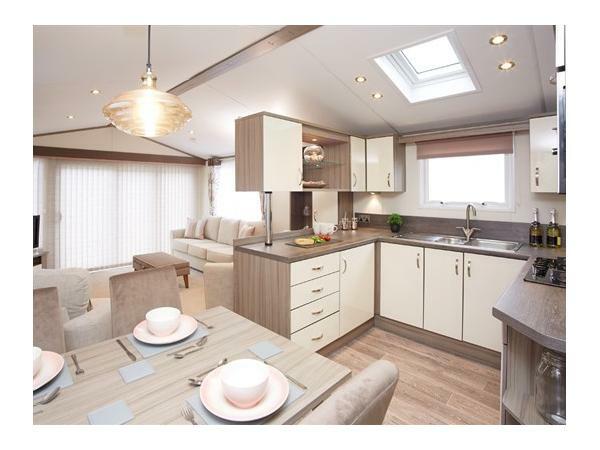 due to the high standard of this caravan and for everyone`s comfort there is a non smoking policy and no pets allowed sorry! Should you wish to hire this van then, payment can be made in full or deposit will be required to reserve holiday £100 non-refundable deposit by check made payable to Mr .K. Griffiths to be sent to address, 1 Oak Grove, Cimla, Neath, SA11 3RE. The balance of payments must made payable within 40 days prior to start of the holiday. Failure to pay full cost of your holiday by the balance date may result in cancellation of your holiday reservation without refund. 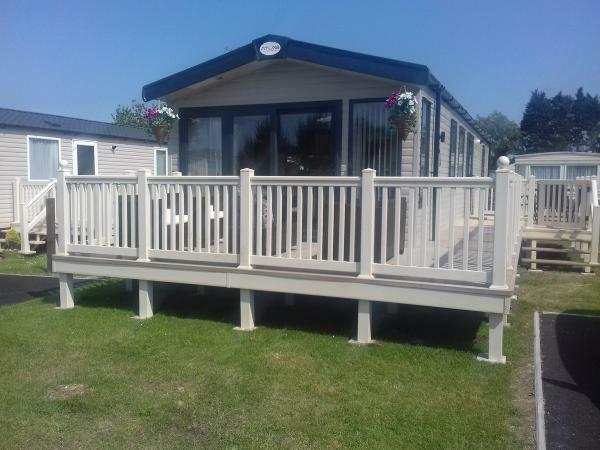 Due to the Very high standard of the caravan to ensure this standard is maintained there will be on arrival at the caravan a bond of £100 pounds against any damage or breakage to the van this will be refunded on the last day of holiday.